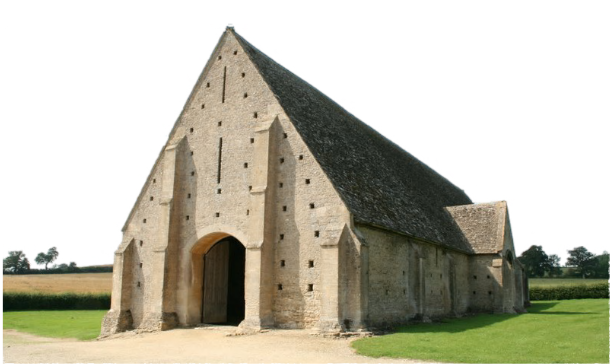 Although the signs direct you to the Tithe Barn, it is actually a grange barn, one of the pair surviving that belonged to Beauliey Abbey in Hampshire. Although not as big as its sister at Beaulieu St. Leonards it is still an impressive size. Even more impressive is the complex, aisled timber frame inside. 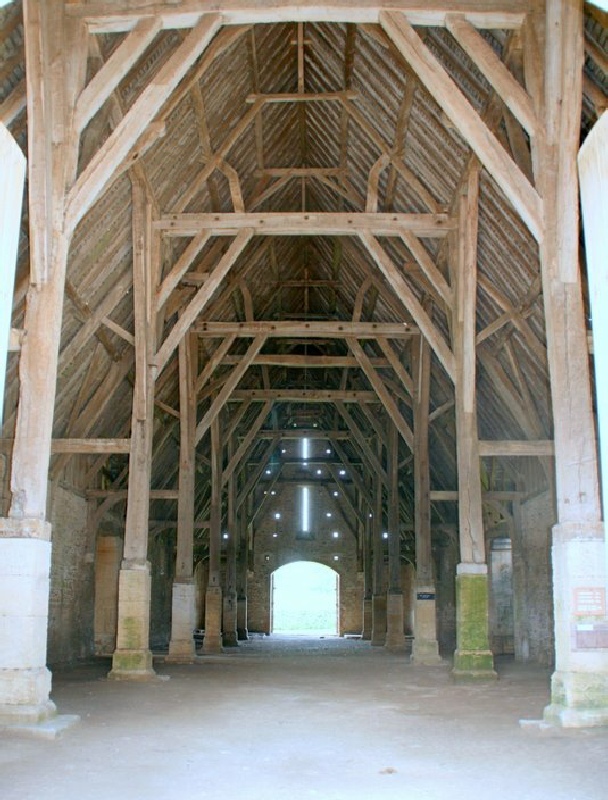 The aisle-posts are supported on 2 metre high stone piers and the tie-beams and aisle-plates are supported by double braces. The aisle posts are 20 feet apart so the builders introduced sub-trusses, cantilevered from the walls, half-way between each pair. The doors in the gable ends were inserted in the 18th century.